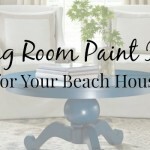 When you’re looking for a unique look for your beach house décor, the best place to start is with your color palate. 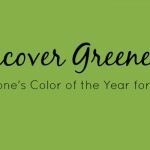 Take a chance and step away from the more traditional light blues, aquas, and whites and head more towards more vibrant colors…like green! Green is known to be a color that relaxes people. Many hospitals have chosen shades of green for their patient rooms to add that relaxing, comforting feel and help put their patient’s minds at ease. 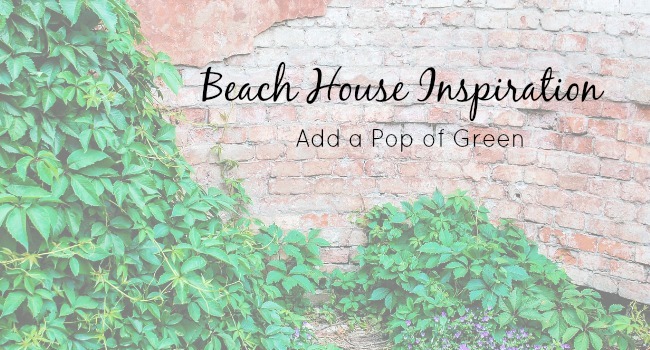 Green is also a color that is incredibly eye-catching in a beach house environment that is traditionally surrounded by more neutral colors. 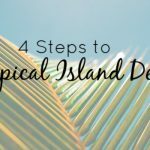 Here are a few creative ways to add a pop of green to your beach style décor while keeping things chic and stylish. 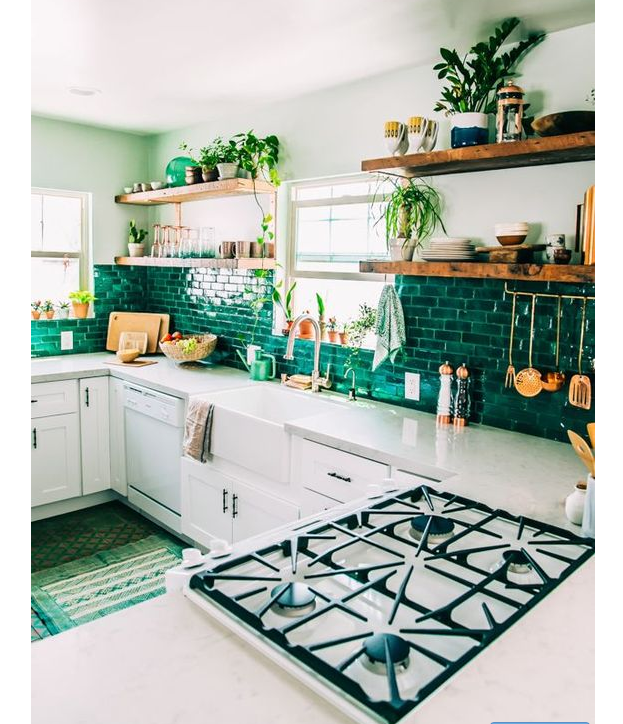 An easy way to add a touch of green to your beach house kitchen is to add a beautiful green tile back splash like the one seen here from She’s Charming. We love how the green in this otherwise white kitchen really adds depth and makes this kitchen look rich and fabulous. Get out your glue guns because this next one is going to have you channeling your inner Martha Stewart. We found this incredible post from Rainy Day Mum that shows how to dye seashells. 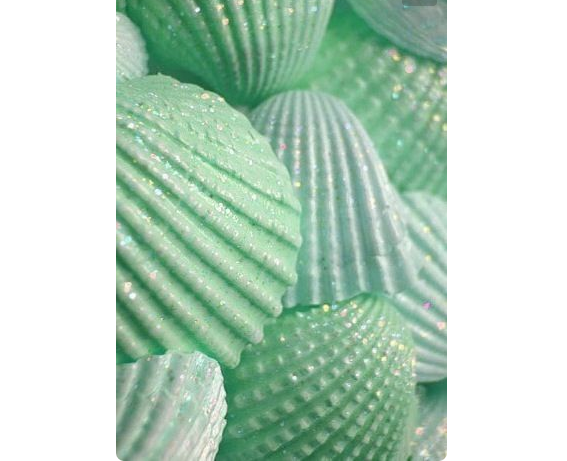 You can use seashells for literally every type of décor imaginable. Centerpieces, picture frames, mirrors, mantelpieces…the possibilities are endless. The best part is that you’re already on the beach and seashells are free. Bonus! Dye your shells the perfect shade of green before you start your DIY project and let your guests wonder where you found them. 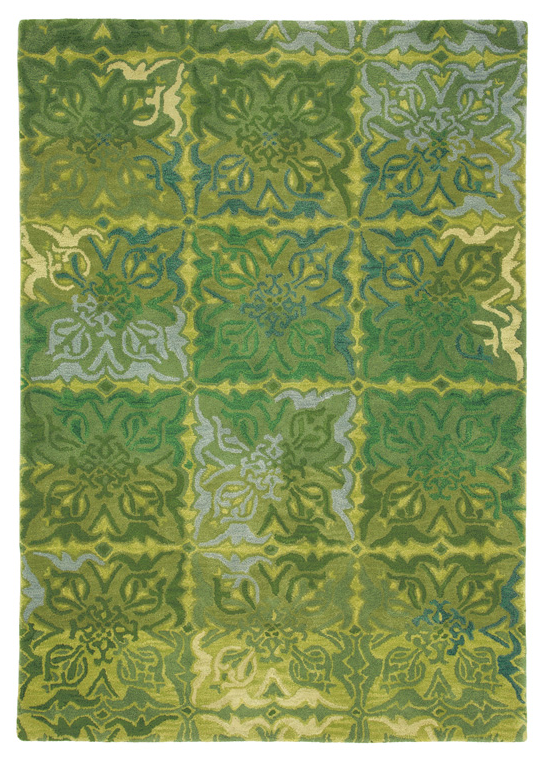 One of our absolute favorite green Cottage & Bungalow items is our Courtyard Rug in Spring Green. This amazing rug adds texture and richness immediately to any space. Place it in your foyer for an immediate surprise when you’re welcoming guests or opt for placing it in a bedroom with some candles to add to the relaxing ambiance. Remember to follow the cleaning directions carefully; this rug needs a little TLC but all of the extra care is very well worth it. One of the most obvious ways to add a touch of green to your beach home is to bring a little bit of the outdoors inside, or in this case, to the patio area. 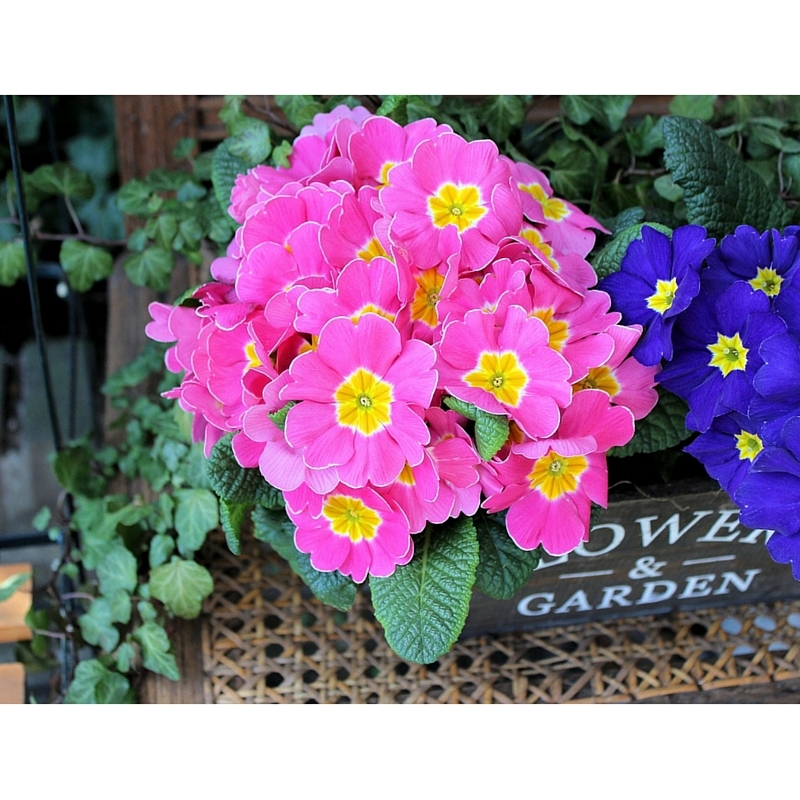 Choose your favorite foliage to grace your home with the colors and scents that can only come from Mother Nature. Not good with house plants? Take a trip to your local craft store and opt for silk plants instead. Either way your space will look stunning. 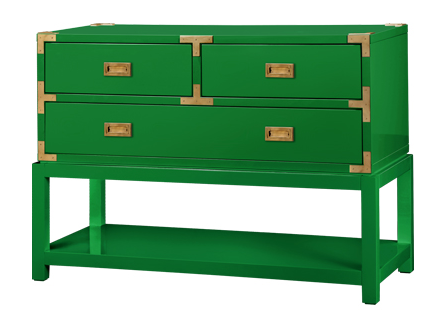 If you are a super-huge fan of the color green, we suggest you consider adding our very own Cottage & Bungalow Tansu Consule in High Gloss Green to your beach home décor. This is a fabulous piece that really stands out among other ordinary furnishings. The bright green livens up any room. You can add numerous accent pieces to the top of the console such as picture frames or even a handmade doily or runner. This is one of our favorite pieces because not only is it incredibly beautiful, it’s functional as well. 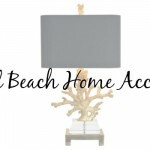 We highly encourage all of you to try something different with your beach house décor. Think outside the box and go a little crazy. Leave traditional behind and go green! We’d love to hear what green décor finds you treasure. Feel free to leave us a comment below and tell us about your favorites.